The Day of Miracles is one of the four holy days in the Tibetan Buddhist calendar. It celebrates the time when a group of matted-hair ascetics challenged the Buddha to a contest of miracle powers at Sravasti. 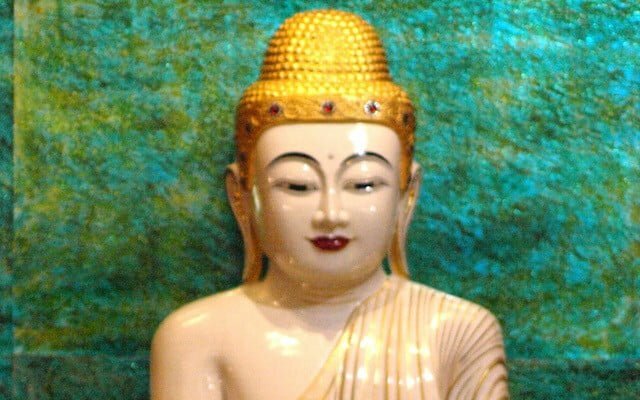 Although the Buddha did not want to show his miraculous powers, as this was the only way to subdue these ascetics and help them to develop faith in the Buddhadharma, he performed magnificent miracles each day for 15 days, outshining all opponents. As a result, the ascetics as well as a huge assembly of devas and humans adopted the Buddhist doctrine, practiced it, and gained spiritual attainments. Subsequent generations continue to be inspired by the Buddha’s demonstration of his extraordinary qualities. Ven. Chodron tells several stories about the Day of Miracles in this short talk from 2009. She reminds us how best to celebrate the Day of Miracles, following the Buddha’s example to overcome afflictions, in this brief video. Do the Shakyamuni Buddha meditation, either guiding yourself or listening to a meditation led by Ven. Chodron. Both are here. Make offerings to the Buddha, Dharma, and Sangha. Ven. Chodron teaches how to think about and do this practice here. Study and reflect on the Buddha, Dharma, and Sangha by watching some of the video teachings from the Refuge playlist. Think about how the Dharma works in your life, rejoice in your fortune, and dedicate the merit for your own awakening and for all sentient beings! Make offerings to your teacher or Dharma center for the continuation of Buddha’s teachings. To include Sravasti Abbey in your offerings, go to our Donate page.